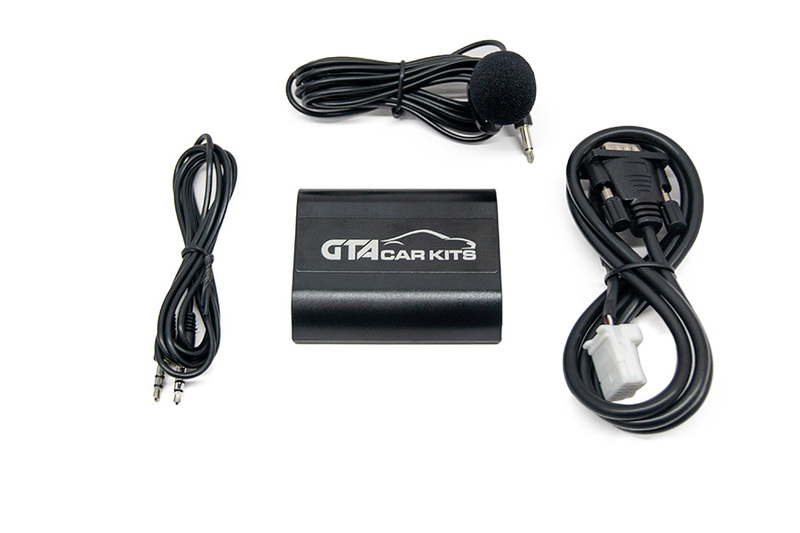 GTA Car Kit for Toyota Highlander 2004, 2005, 2006 and 2007 is all you need to integrate your smartphone, tablet or mp3 player with your stock car stereo system. If your Toyota Highlander has a stereo model that starts with AD letters (e.g. AD6806) – GTA Car Kit would not support it. The model name usually is displayed on the front panel of the stereo unit. This is a great kit. I received it yesterday and installed it this morning in my 2004 Highlander. It installed exactly as shown in the video. The only thing I did differently was to use heavy duty Velcro to attach the module to a metal dash support behind the radio. The kit works perfectly (sound quality is awesome) and I am very pleased. Thanks! After 8 years of using the cassette adapter for my satellite radio, the tape player died. I didn’t like the sound from the FM transmitter so I gave this a shot. It works perfectly. Excellent product. “My daughter wanted a GTA kit for her birthday. After looking at the web site, I purchased two kits; one for her and one for my car, an ’03 Highlander. I found both units installed exactly like the videos on the GTA web site. My Highlander has an add-on Sirius receiver. Back in the early days Sirius offered lifetime service at a reasonable price so I signed up. With no “aux” input on my car stereo, I’ve always had to use the fm transmitter. I’ve never been happy with this setup, as there has always been a reception problem caused by rf interference. I am 100% satisfied with my purchase and I highly recommend this product. I only wish that I had learned of these units several years ago. 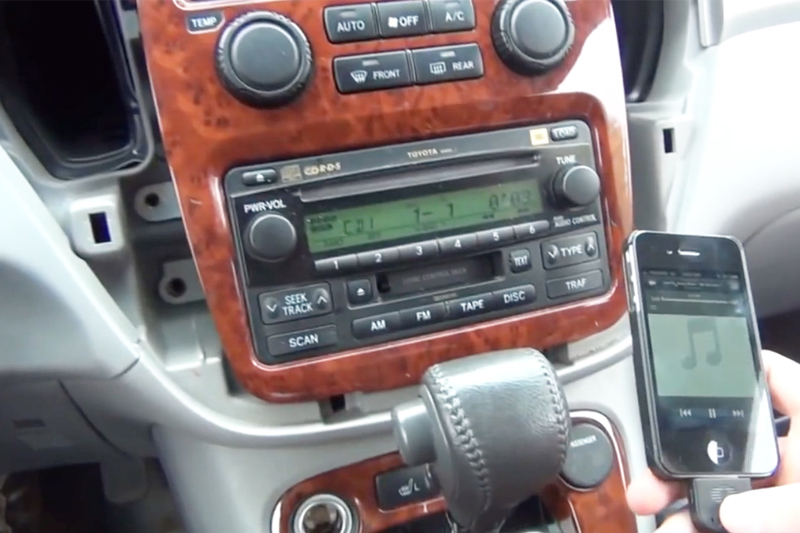 By the way, my daughter’s unit (2006 Corolla) also works flawlessly with her iphone. 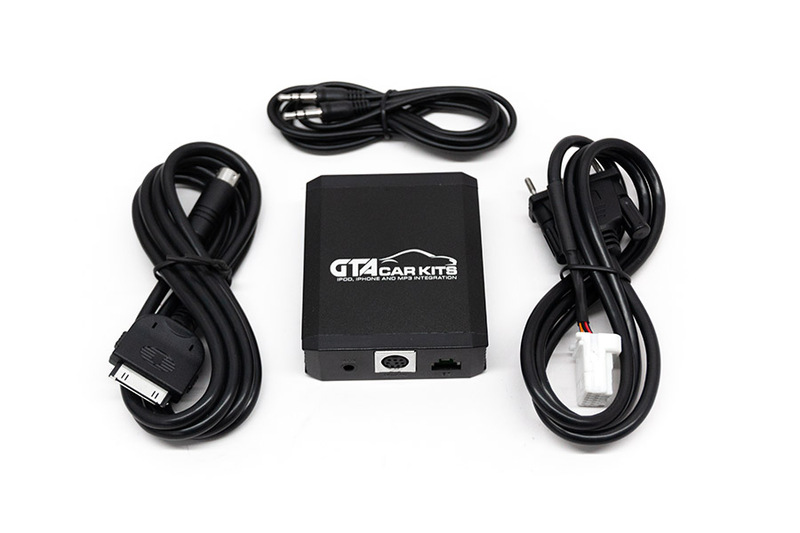 “I very rarely leave comments, but I HIGHLY recommend the GTA Car Kit. I just bought a used 2006 Highlander with Nav but no AUX output. Car Toys wanted over $300 for a new radio with AUX output, AND they said it would break my Nav unit!! This kit arrived quickly and took < 30 minutes to install. AND, the best part is.... it works GREAT!!! Thanks tons for the video. It was very helpful!!!" “Found you guys through Internet search. Installation was intuitive and simple to understand. Install took me 1/2 hr. No tools other than socket & velco needed. The toyota highlander video was VERY helpful for me to undetsrand how the stereo trim panel & head unit was removed (knowing where the hidden fasteners are is a real bonus so one doesn’t break plastic with guesswork. “Just thought I’d email you to say thanks for the first rate product and service you provided me. 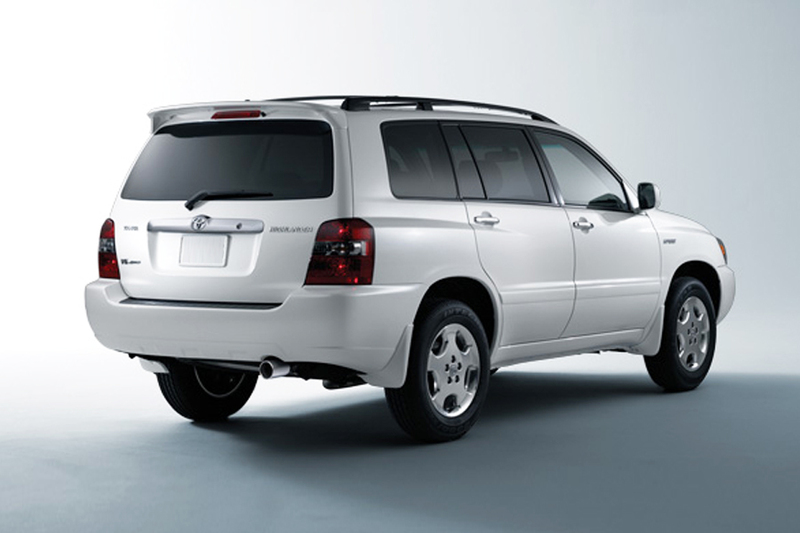 I have a 2005 Toyota Highlander (Kluger) in Australia. The kit preforms flawlessly, your international shipping to Australia was fast and secure and the problems I encountered were addressed and rectified quickly, not much more you could ask for. Highly recommended.